Cricket is a gentlemen's game where the spirit of the game is of utmost importance. The game changed drastically after the advent of the shorter formats which has also affected the mindset of the players. There have been numerous incidents where the players have unintentionally violated the laws of the game, which is ought to happen under crunch situations against quality teams at the biggest stage. However, there have been deliberate attempts by the players to violate the laws of the game in order to achieve the results in their favour. Claiming a false catch is the most common practice which the cricketing world witnesses quite often. Here are two incidents where the batsmen deliberately ran a short run, the reason behind which seems pretty difficult to comprehend. The laws of cricket state that if there is a deliberate attempt of a short-run, then the striker must be returned to the strike and all the runs scored on the ball should not be counted and a penalty of five runs to be awarded to the fielding side. 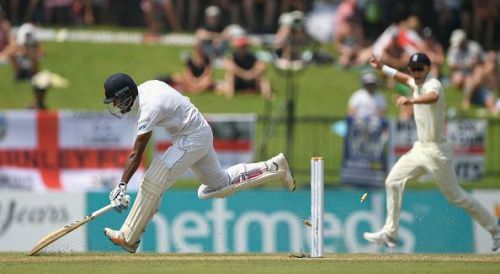 The incident took place during the second day of the second Test match of the ongoing series between Sri Lanka and England. 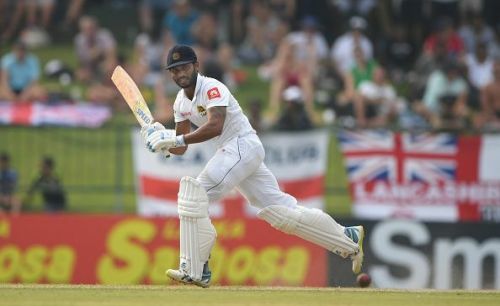 Roshen Silva played a deft late cut towards the third man region. Assuming that the ball would reach the fence, Silva paused at the bowler's end and did not ground his bat. Moeen Ali's desperate dive saved the boundary and Silva ran back to the striker's end without making an attempt to ground the bat during the first run. The umpire Marais Erasmus found the event as a deliberate attempt by Silva for a short-run and hence awarded five penalty runs to the fielding side.